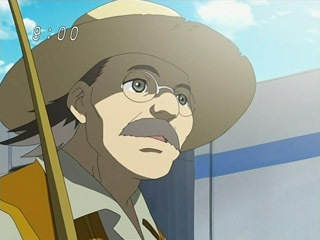 Fisherman Dude watches the police cars go by. 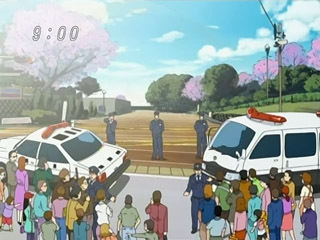 This crowd is clearly terrified of a potential bomb. 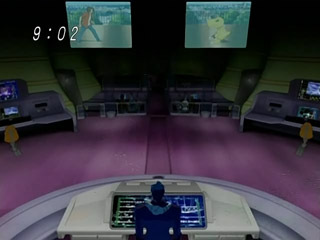 The people at DATS HQ watch Masaru vs Agumon. 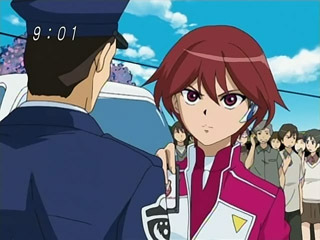 Commander Satsuma and Kudamon wonder just who Masaru thinks he is. 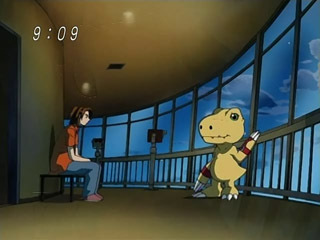 Agumon and Masaru are equally matched. 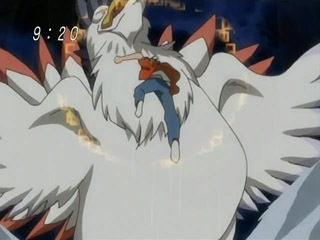 Miki is surprised Masaru can fight Digimon. 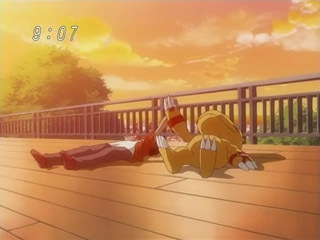 Agumon and Masaru are tired out. 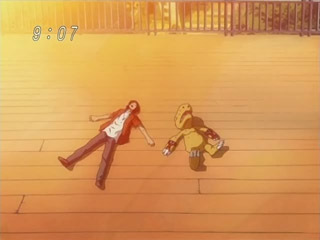 Agumon and Masaru are now officially friends. 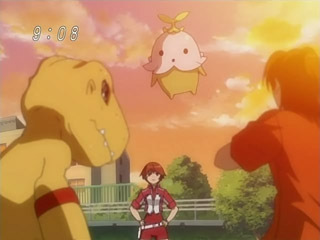 Yoshino and Raramon face Agumon and Masaru. 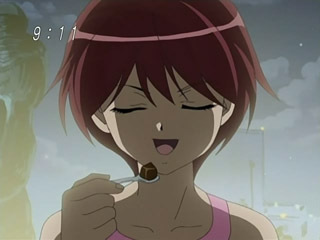 Yoshino eating the coffee jelly Masaru bought. 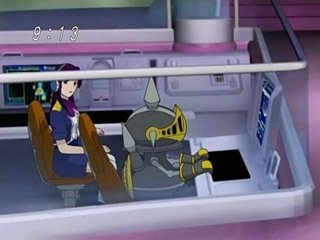 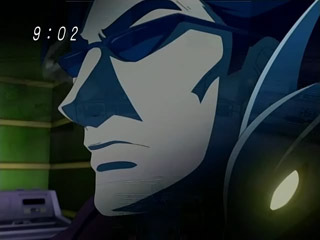 Kurokawa Miki and Pawn Chessmon. 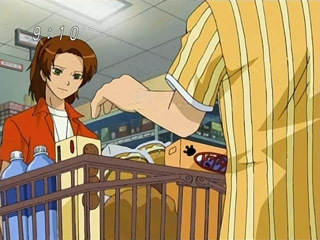 Satsuma, Yoshino, etc. 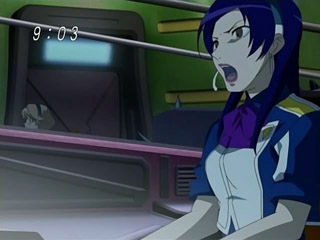 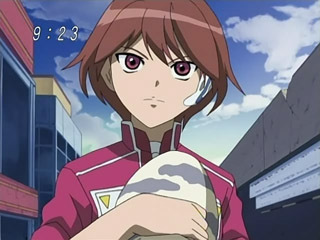 in DATS HQ talking to Masaru. 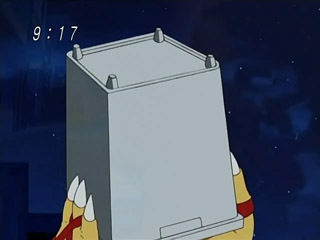 Agumon with a garbage can on his head. 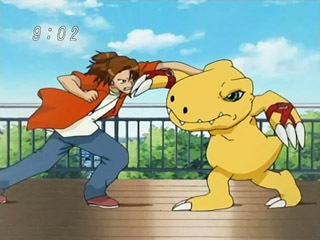 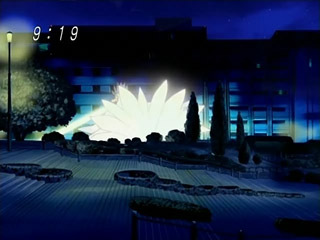 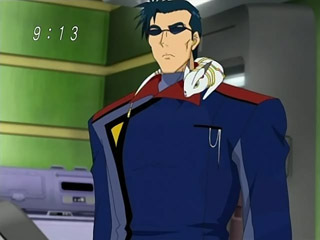 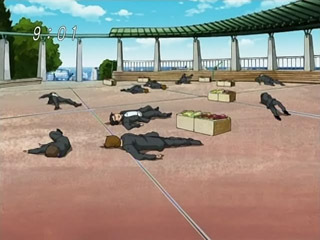 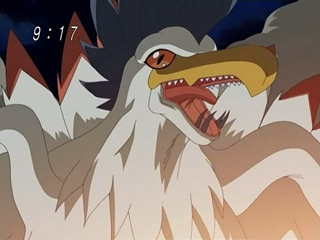 Masaru, mad that Cockatrimon injured Agumon, delivers a blow to Cockatrimon. 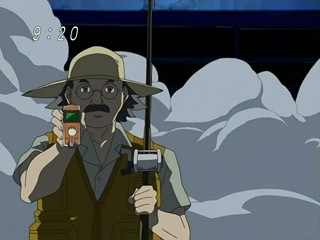 Fisherman Dude throws Masaru a Digivice. 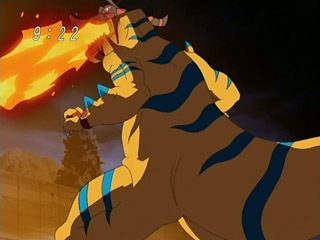 Agumon evolves to Greymon and uses Mega Flame, defeating Cockatrimon. 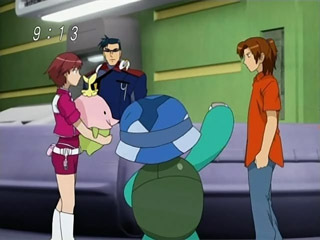 Yoshino is still going to arrest the two.